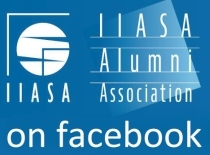 IIASA has 4,570 alumni from 99 countries, 25% of whom are actively involved in the institute’s scientific activities, among them leading personalities in academia, government, and the private sector. The Alumni Association promotes communication and scientific exchange within its international and interdisciplinary network through the alumni e-newsletter, social media alumni groups, and webpages. These are opportunities for you to share your recent publications, current research projects, and invite fellow colleagues to an event. We also hope to keep you informed and provide another link to the institute. Please feel free to reach out via email if you have any questions, feedback or updates. 2017 marks 40 years of the YSSP! The following page has been dedicated to the impact of the program has had over the past 40 years. Take advantage of the alumni network by utilizing these resources to invite fellow alumni to conferences / events, informing former colleagues on interesting job opportunities / project call announcements, or reconnecting by sharing recent publications.